Kerala SSLC Results 2015 was announced now. Kerala Education Minister, P K Abdu Rabb released the SSLC results for the year 2015. The results was published by PK Abdu Rabb, the Minister of Education Kerala State. Kerala Pareekshabhavan released the results on the official govt websites now. 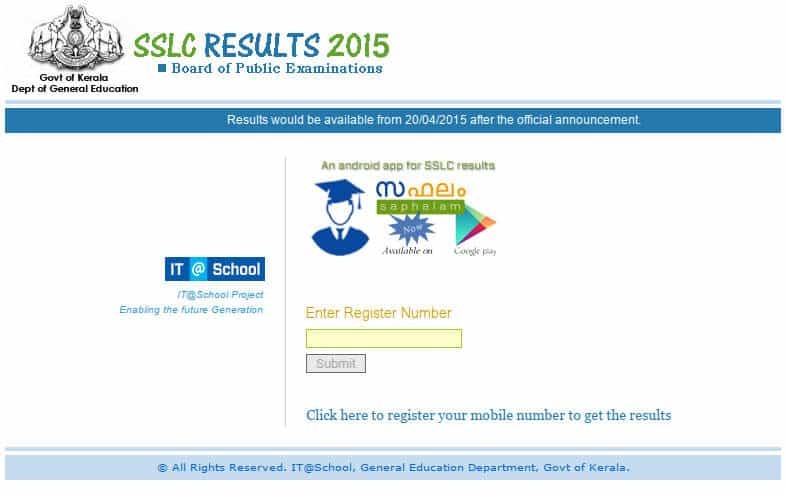 Students can access their SSLC 2015 results by going to itschool website using their SSLC Registration Number. This year the Pass percentage is 97.99 and from 2008 the pass percentage is above 90. 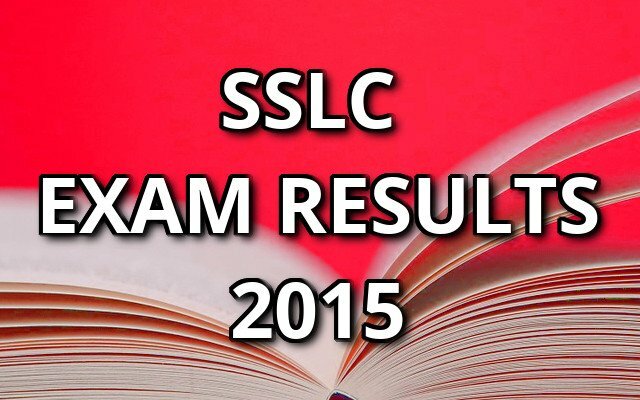 Also SSLC SAY Examination 2015 will be announced soon to help students those who cannot make their SSLC 2015. This exam will help a student to continue the education without a break. 4,58,841 students qualified for there higher studies after SSLC 2015 Examination out of 4,68,273. The pass percentage is 97.99, which is 2.52 percent higher than 2014. 12,287 students got A+ Grade in all subjects. Kannur has the highest pass percentage while Palakkad has the lowest pass percentage. Malappuram has the highest number of students who got A+ in SSLC 2015. Kerala Plus two allotments and registration process will start soon. Students can collect their SSLC Book from their schools in the coming days. results.itschool.gov.in got the results online now. School Wise results and Results analysis will be available after some time. School Wise results are availble soon.